Night falls, and the facts of the day give way to the illusions of the night. LA raises billboards high up so they look over the single story buildings that are common in most areas. 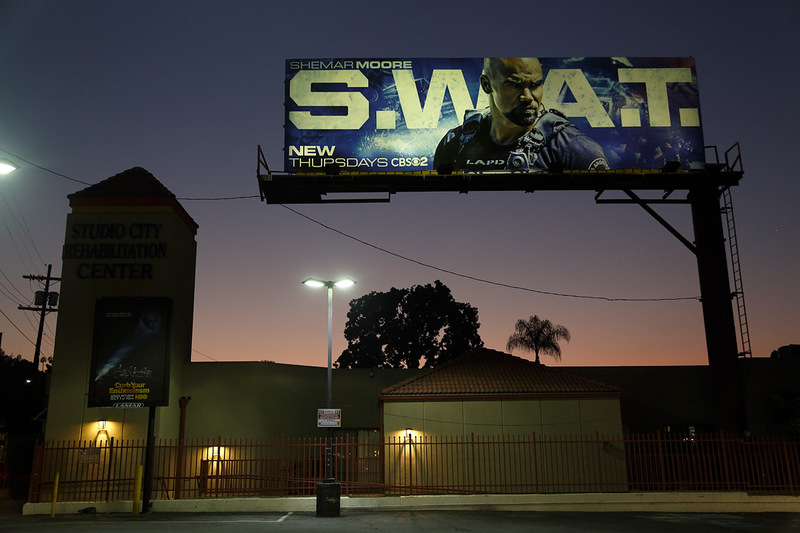 The billboards can be seen from far away, from freeways, from hills, from the upper levels of high risers. It's not to make them seen better. It is to raise something like a dream high up into the air, to put it closer to the sky. I'd like to see real dreams up there, not ads, but images of things that would be great if they happened. And have them seen by everyone in the city.